Casseroles are classic winter comfort fooddishes, slowly cooked over a long period of time. Many casserole recipes use thrifty, tough cuts of meats such as beef cheek, pork belly or lamb shoulder, which break down during the cooking process and give you a sublime finish for very little money. The slow cooking time allows the depth of flavour to develop and help tenderise the meat. Have a go at Alyn Williams' family-friendly sausage casserole recipe or Hayden Groves' comforting mutton casserole recipe for some true winter warmers. 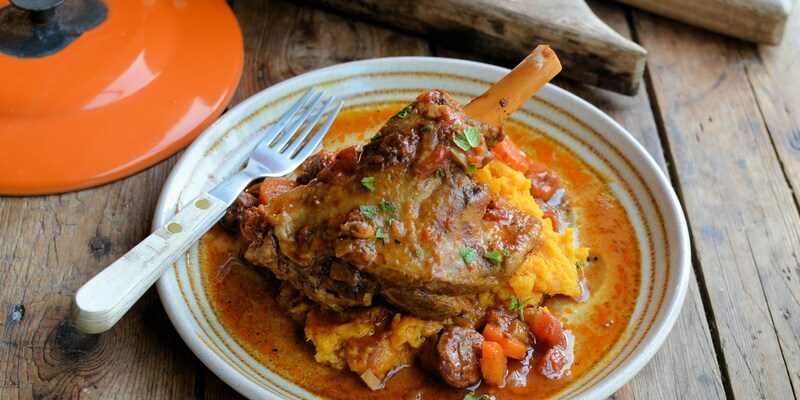 Sally Abe's classic beef casserole recipe is served with a creamy celeriac mash, while Karen Burns-Booth serves her Spanish-style lamb shank casserole recipe with sweet potato mash to complement the warming spices in the dish.